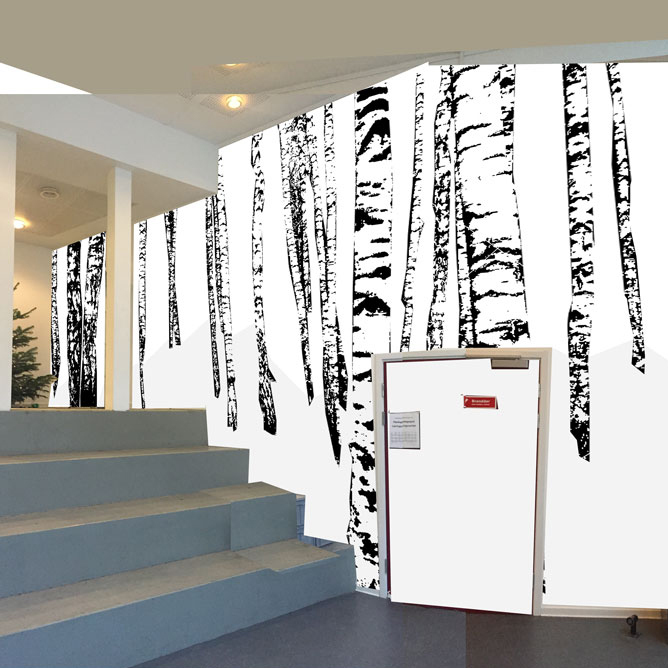 One of arki_lab’s first tasks in the new year is an interior design project at Sortedam School in Copenhagen. We’ve worked with students, teachers and the management to develop ideas for the project and there’s been talked, asked and discussed over the past six months. Among other initiatives we’re for example involving the student from our choice subject ‘Architecture and Design’ in making suggestions for the graphical expression. We are working towards a solution that uses the schools characteristics and uniqueness in order to support its identity to future teachers and students. History is not something to be packed away in a box and locked away in the attic – history is something you can learn from and which should be put on the walls! For example, the school founded by Hanna Adler, who was a pioneer in women’s rights and therefore Sortedam was the first mixed-gender city-school in Denmark. A school is also, obviously, a frame for learning. There are some things that just never stick in your memory, such as Pythagoras theorem, as well as some things that just continue to be interesting to delve into as the countries and borders on a world map. This lead to the idea of taken the school’s local history; its prominent figures and the funny personal anecdotes and couple it with relevant aspects of ‘everyday-learning’. This funny little story is linked to the labor movement and the political system – what does it mean to be a working class school? Who was Stauning? What does Social Democrats value? With a graphic expression of the quote above, you could set up the political parties in today’s Denmark according to whatever scale the teachers find appropriate. Then the social science teachers could ask the student to distribute themselves according to what they would vote. In this way the design could (hopefully) play an active role in school life. We look forward to get even more ideas on the drawing board and start the decoration of the walls – it’s going to be great at Sortedamskolen!